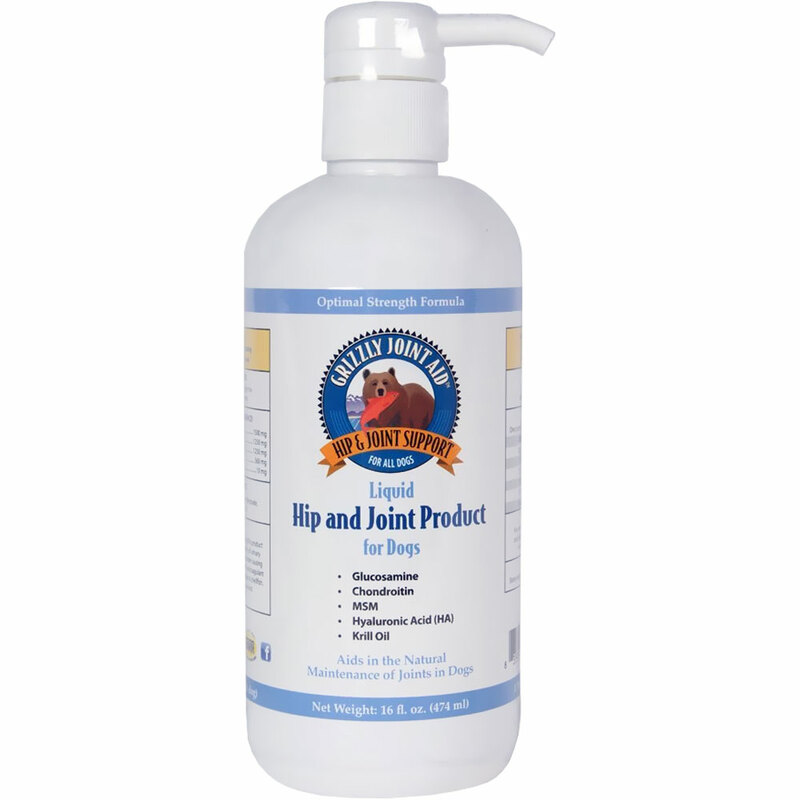 Grizzly Joint Aid Liquid Form for Dogs naturally supports hip and joint maintenance in your canines using key ingredients such as glucosamine, chondroitin, MSM, hyaluronic acid and krill oil. This optimal strength formula comes in a liquid form with measured pumps for easy dosing and administration. Krill oil is added to enhance absorption of the joint-enhancing active ingredients! Additionally, the natural flavor of krill will get your dog's mouthwatering for more. This supplement is perfect for dogs suffering from arthritis or having trouble being active due to age, but is also ideal for dogs who require joint and hip maintenance. Warnings: For use in animals only. Keep out of reach of children and other animals. In case of accidental overdose, contact a health professional immediately. Cautions: Consult with your veterinarian before using this product in animals with clotting disorders, a history of urinary tract stones, diabetes or any metabolic disorder causing hyperglycemia, animals being treated with anticoagulant medications, or animals with known allergies to shellfish. If lameness worsens, discontinue use and contact your veterinarian. Storage: Store away from light at room temperature or refrigerate.